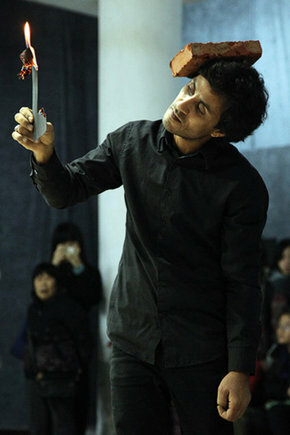 Wathik Al-Ameri and Ali Al-Fatlawi was awarded the Performance Switzerland Prize in 2011, which was followed more recently with the prestigious Swiss Art Award in 2012. Wathiq Al-Ameri. Iraq/Switzerland. Guangzhou Live 3. November 2012. © Guangzhou Live and the artist.